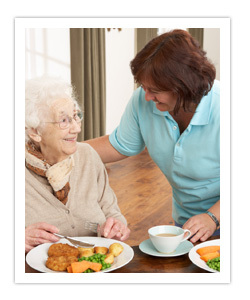 MSENE always needs volunteers who enjoy interacting with our senior clients. Join us for an hour or a day; every day, once a week, once a month, or once a year. We also invite those volunteers who can play, sing, or have other talents to contact our Program Manager about sharing your time and abilities with our seniors. Who can Volunteer at MSENE? MSENE Adult Day Care Centers welcomes volunteers who are attuned to the elderly; enjoy their company and who appreciate the wisdom that only age and experience can bring. We welcome Retirees, Professionals, and Students, Family Members, AARP Members and others. Students enrolled in high school internship programs provide valuable assistance to staff and residents while also learning about health-care and geriatric fields. Babies and toddlers bring much joy and laughter as "friendly visitors" through our Giggle to Babies program. Schoolchildren, participating in recreational and holiday activities, offer fun and stimulating company. School teachers to bring children-Seniors love children! Help with breakfast, lunch and snack. "Whether you participate a little or a lot your donated time is greatly appreciated." To volunteer please contact one of our Program Managers. If you or your organization is able to support MSENE either by fundraising, helping to increase donations, or in some other way---we welcome your help!. I want to volunteer to help the Seniors through Miami Springs Entertainment & Nutrition for the Elderly Volunteer Program. I understand that the volunteer program requires a background check prior to involvement with our institution. Miami Springs Entertainment & Nutrition for the Elderly, Inc.
©2011 Miami Springs Entertainment & Nutrition.